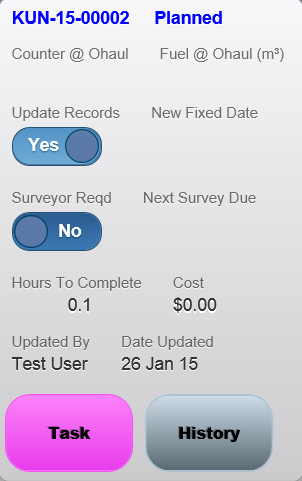 Easy PMS maintenance reports are easily raised by taping the respective tile for the period required. The reports list the tasks completed in the period selected. Tapping on the completed Task opens a popup with more information and also the ability to view the Task and History of the item selected.